Enticingly subtle, this Tuberose-infused sprays capture the essence of island femininity. Due to Federal air safety regulations, perfumes, colognes, and nail polish cannot be sent through USPS mail. All perfume, cologne, and nail polish orders will be shipped through our Los Angeles, CA distribution center, if available, by FedEx Ground service. A customer service agent will contact you if your order cannot be filled. FedEx Air service (2nd Day) is available from both Hawaii and California, for an additional $45 fee. INTERNATIONAL SHIPPING FOR THESE PRODUCTS IS CURRENTLY NOT AVAILABLE. 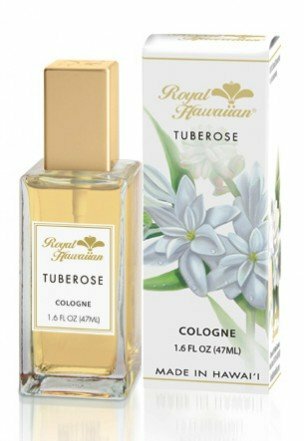 Royal Hawaiian fragrances in its newest size and packaging! If you have any questions about this product by Welcome to the Islands, contact us by completing and submitting the form below. If you are looking for a specif part number, please include it with your message.